Automobile Insurance, Renters, Homeowners, Life! GUARANTEED CREDIT APPROVAL! Warranties available on most vehicles! Contact Sales at Reliable Auto Consultants Inc.
Super nice, 12/19 PA inspections, front wheel drive. Runs very well. Guaranteed Credit Approval and warranty offered. Clean carfax, 2 owners, 16 service records. Sunroof does not work and not sure why (doesn't leak tho fyi). All rest power is working and good tires and heated seats. At Reliable Auto Consultants Inc., we are here to make purchasing your vehicle as SIMPLE and TRANSPARENT as possible. Our Guaranteed Credit Approval program, will get you into a vehicle and help you establish or reestablish your credit. We have been working with Credit Acceptance for 15 years and this company will help you get into the car you desire! Reliable Auto Consultants Inc. is your one stop shop for all your used vehicle buying needs. With 19 years experience selling buy here- pay here, bad credit, no credit and cash customers we can provide you with many options. We have built up many relationships with used and new dealerships around the Lehigh Valley, Philadelphia and beyond to help find the vehicle you are looking for. To go with that, we can offer a variety of finance options, service contracts, warranties and Insurance for all your vehicle buying needs. 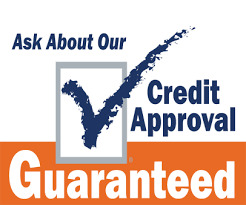 With our Guaranteed Credit Approval program NO CREDIT will be needed! We keep it REAL! RESPECTFUL! RELIABLE! We pride ourselves on being the TOP RATED Follow Up from the beginning of the sales process all the way through to the closing and after the sale. In addition to this, we are going to be having paperwork, and most of your details of any car sale done before you come to our dealership when possible IF that is what YOU want as our customer. This will greatly speed up the sales process to get you in and out as quickly as possible! NEW FEATURE: Vehicles on SPECIAL will NOT be negotiated and are priced at the ROCK BOTTOM PRICE already! Any price on a vehicle that says what the price was, and what the price is NOW, is the ROCK BOTTOM PRICE for that vehicle for Cash and/or any Loan you or we apply for you. NOT NEGOTIABLE are these prices cause we already cut the price to sell ASAP!